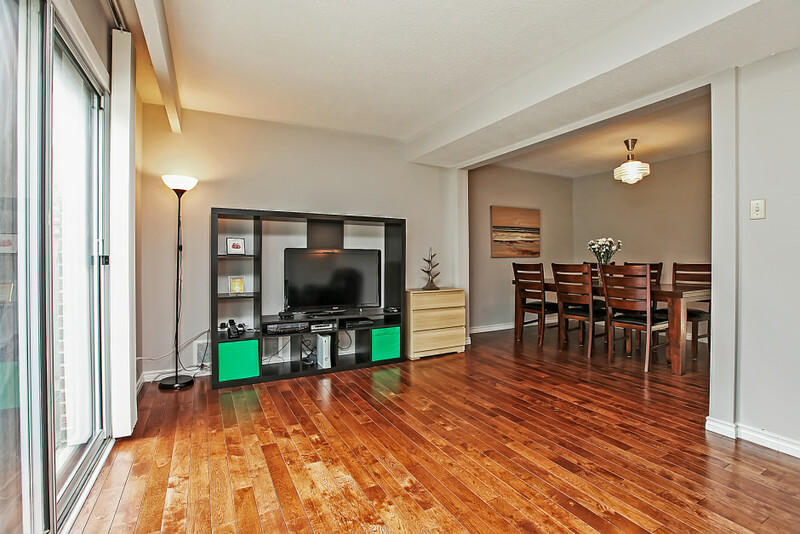 Beautiful 3 bedroom, 2 bathroom Condo Townhome in a desirable North York neighborhood, situated conveniently in the school district of renown Arbor Glen P.S. (Ranked #1 on Ontario EQAO scores for many years) and A.Y. Jackson P.S. The house boasts functional layout including open concept living and dining room, a walkout from living area to a manicured yard, a separate kitchen with breakfast area, plus a finished lower level that offers a perfect recreation room along with a laundry area. The home was renovated recently to include hardwood flooring ('14) throughout, a 2 full bathrooms as oppose to an original 1.1 bathroom ('14), a brand new kitchen ('14), wood staircase ('15) and professionally painted walls in neutral color. 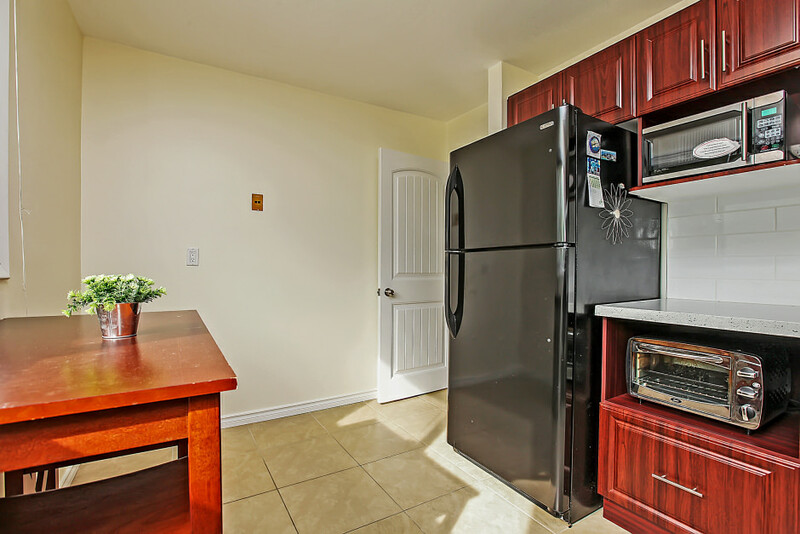 The townhome complex is very well maintained with lined trees, playground, and a common outdoor pool. Maintenance fee include water, Roger's cable TV, and maintenance of all common elements. Amazing location with easy access to major highways, walkout to public transit (TTC & Viva), shopping plaza, parks, schools, and many more! Don’t miss the opportunity to own this amazing family home in this well-established, mature neighbourhood!